Zhaoyu Sun ’20 received an award for his essay in the Eighth Annual Consulate General of Japan in Boston Japanese Language Contest. Sun took the second place win in the College Intermediate Division. 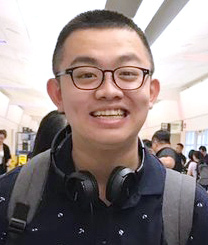 Sun, who is from Beijing, China, is majoring in East Asian studies and government. His essay focused on the ideal U.S.-Japanese relationship. “I discussed how military cooperation, establishing a strong relationship with other countries in East Asia, and establishing equality between the two nations will build a strong U.S.-Japanese relationship and subsequently benefit the world,” he explained. The essay contest is open to students who are currently enrolled in a Japanese language course at a university/college or high school in New England and who did not grow up in a home where Japanese was the main language. Sun will receive his award during a ceremony April 7 in Brookline, Mass.